The universe often sends us messages, and it does this through the use of signs and symbols. There are individual reasons for the messages it sends us and we should pay special attention to each one. The universe uses triple mirror hours to get in contact with us so when they appear to you frequently you must not ignore them, as there is a message behind them that it’s up to you to figure out. The triple mirror hour 00:09 is a special hour on the clock with its own meaning and message for you to uncover. 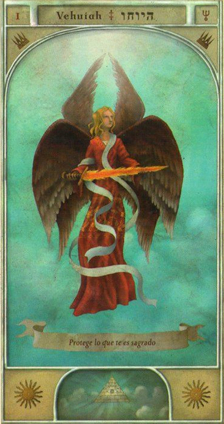 It may appear in your life for many reasons; perhaps your guardian angel is trying to communicate with you, perhaps your subconscious is looking for answers, or perhaps someone is trying to contact you. To work out the true message behind this mirror hour and interpret it precisely and clearly in your mind, you can rely on numerology or on an interpretation of the guardian angels for support. The guardian angel Vehuiah, angel of wisdom and love, is using the triple mirror hour 00:09 to try and send you messages. Through this hour he is telling you that he will bring you great success in anything you take on, whether it be an exam, a competition, a job application, or more. He will also bring you bravery, audacity, and a sense of initiative. This angel is your patron and protector and is also using this hour to tell you that he will offer you healing powers. With these you will be able to take care of yourself and others. You will be able to treat depression, feelings of malaise, and mental illness. If you work in the field of health he will therefore be of valuable support. If you are currently going through a difficult period Vehuiah assures you that he will make it easier for you to see the light at the end of the tunnel. He will help you to find practical solutions which are just as helpful to you as they are to your peers. He is able to make events occur which contribute to the success of everything you do. He will also stop you from charging into things without thinking about them first. This guardian angel also indicates that there are insulting, domineering, and dictatorial people around you that he will strike from your life. What’s more, he will be beside you to help you to focus your efforts and protect you from irritation which has the potential to hinder your success as well as harm your relationships with others. Vehuiah is also informing you that you have a great force of will and that you find it very easy to jump into action. You have the qualities of a leader, and the ability to channel your desires and impose your will upon others. This guardian angel will stop you from being stubborn, headstrong, or too arrogant when it comes to your relationships with others. He will give you great confidence in yourself to allow you to move forwards. 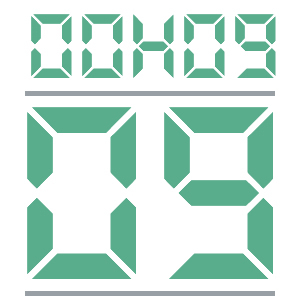 What does 00:09 mean in Numerology? 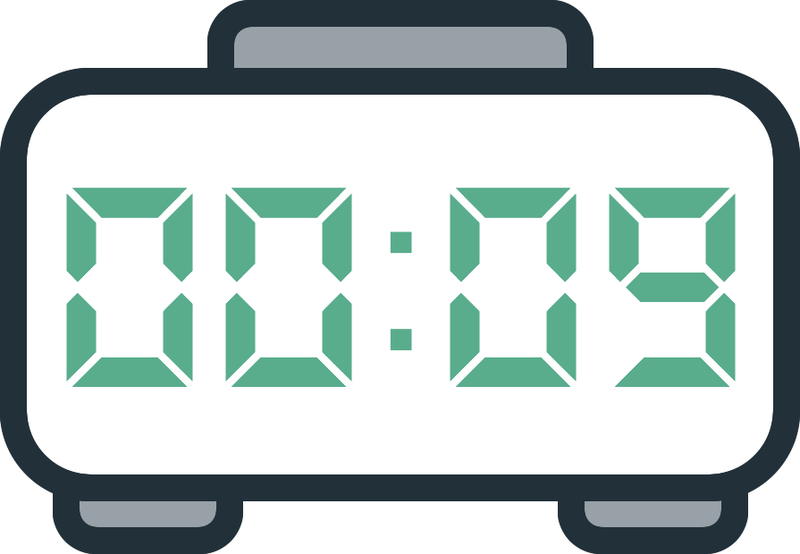 The triple mirror hour 00:09 can be interpreted through the angelic numerology of the number 9 which symbolizes sensitivity, altruism, devotion, bounty, and knowledge. When connected with this hour the number signifies a great sense of compassion as well as a profound sense of idealism. You are an idealist with the power to help make the world a better place by devoting your time, money, and energy throughout your life. The angel number 9 also indicates that you are naturally attracted to people from all backgrounds who may be of support in your greater plans and who can take the lead in areas in which you have less interest. You rarely experience prejudice yourself and because of this you rarely accept the prejudice of others. You know how to appreciate people based on their contribution to the greater good. You are a creative and imaginative person, especially when it comes to unearthing potential around you. You refuse to accept imperfection in the world. Once you’ve taken on a big creative project you won’t give up and will put the effort in to carry them through to the very end; however this often leads you to feel unsatisfied with yourself when the results don’t match your expectations. The number 9 also tells you that you are not in harmony with your true nature; you have mood swings, and can sometimes become distant. Be careful of your tendency to become selfish, reserved, or to lack certainty. You may even start to blame others or even the whole world for your problems. You should also know that the numerology of the number 9 is telling you that you should always be honest with yourself. You should be aware of your weaknesses as well as all of your strengths so as to be able to establish better balance in your life. If you do this, you will be more able to love and understand others. Any comment on the 00:09 mirror hour?